Krsna has given so many nice preprations. From milk... Therefore cow protection is very essential. 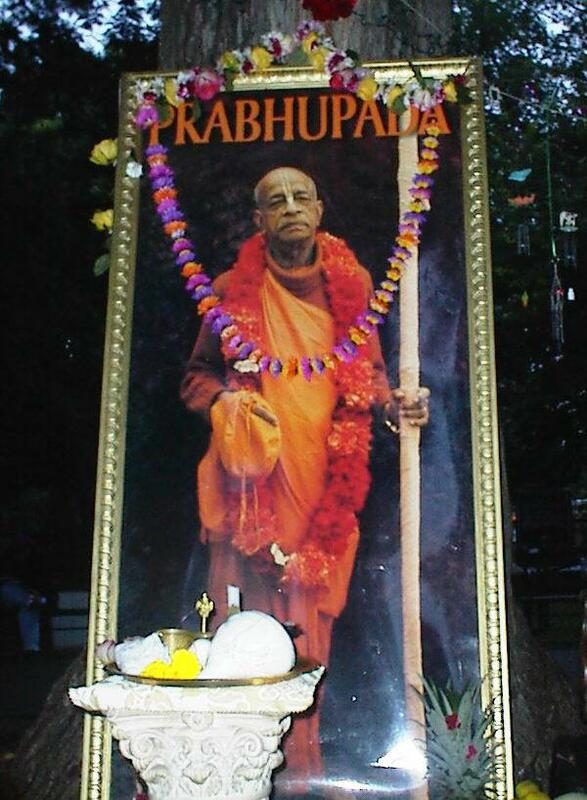 Prabhupada: So I shall speak in the evening. (break) Krsna has give so many nice preprations. From milk... Therefore cow protection is very essential. (break) Go-raksya vanijyam. Go-raksya. Because from cow's milk we can get all vitamins, protein. That... These people, they are eating the flesh of cow, these Western people. But they do not know how to utilize milk. Now they are learning. We have opened many farms. So when they eat so many varieties of preparations from milk, especially from curd, casein, channa, they are surprised. “I taught this immortal Yoga to Vivasvan (sun-god), Vivasvan conveyed it to Manu(his son), and Manu imparted it to (his son) Iksvaku. Thus transmitted to succession from father to son, Arjun, this Yoga remained known to the Rajarisis (royal sages). It has however long since disappeared from this earth. The same ancient Yoga has this day been imparted to you by Me, because you are My devotee and friend, and also because this is a supreme secret”. “In this world two course of Sadhna (spiritual discipline) have been enunciated by Me in the past. In the case of Sankhyayogi, the Sadhna proceeds along the path of Knowledge. Whereas in the case of Karmayogi, it proceeds along the path of Action”. “The Yoga of Knowledge and the Yoga of Action both lead to Supreme Bliss. Of the two, however, the Yoga of Action (being easier to practice) is superior to the Yoga of Knowledge”. Yoga of Knowledge is the path of spiritual realization (acquiring transcendental knowledge through a philosophical search of truth), and Yoga of Action is the path of God realization through dedicating fruits of one’s work to God. The path of meditation (Raja Yoga) and path of love and devotional service (Bhakti Yoga) also lead to control of mind and self-realization. For people of different constitution and affinities, different paths are appropriate. a perfect control over the body and the senses led to knowledge of the ultimate reality. A detailed anatomical knowledge of the human body was necessary to the advancement of yoga and therefore those practicing yoga had to keep in touch with medical knowledge. Now I have described Practice of Meditation and Yoga using scientific terminology: Mind and brain are two distinct things. Brain is anatomical entity whereas mind is functional entity. Mind can be defined as the function of autonomic nervous system (ANS). It is claimed that mind can be brought under conscious control through the practice of meditation. But how? ANS is largely under hypothalamic control which is situated very close to optic chiasma (sixth chakra or ajna chakra). Protracted practice of concentration to meditate at this region brings functions of ANS say mind under one’s conscious control. It is, therefore, the duty of every responsible person of our society to give serious thought over it. Mohammedans hold that God uttered ‘Kun’ (i.e. ‘Came into being’) and the creation came into being (Holy Quran, Sur. Bakr (II.117). In Chhandogya Upanishad it is written “Tadaikshat bahu syam prajayeyeti” (VI-2-iii) i.e. “It thought (desired) Would that I were many! Let me procreate myself!” The Aitareya Upanishad says,”Sa ikshat ‘lokannusrija’ iti (I-1-i) i.e. “He bethought himself (desired) – ‘Let me create worlds’, etc. etc. This is the only Truth which can be verified scientifically and can be termed as ‘higher theory for everything’. This also supports the statement of Sir Sahabji Maharaj that ‘the goal of science – Truth; the goal of philosophy – Ultimate Reality; and the goal of religion – God’ are the three names of same supreme essence. Many things are common between Current of Consciousness and Gravitational Wave.